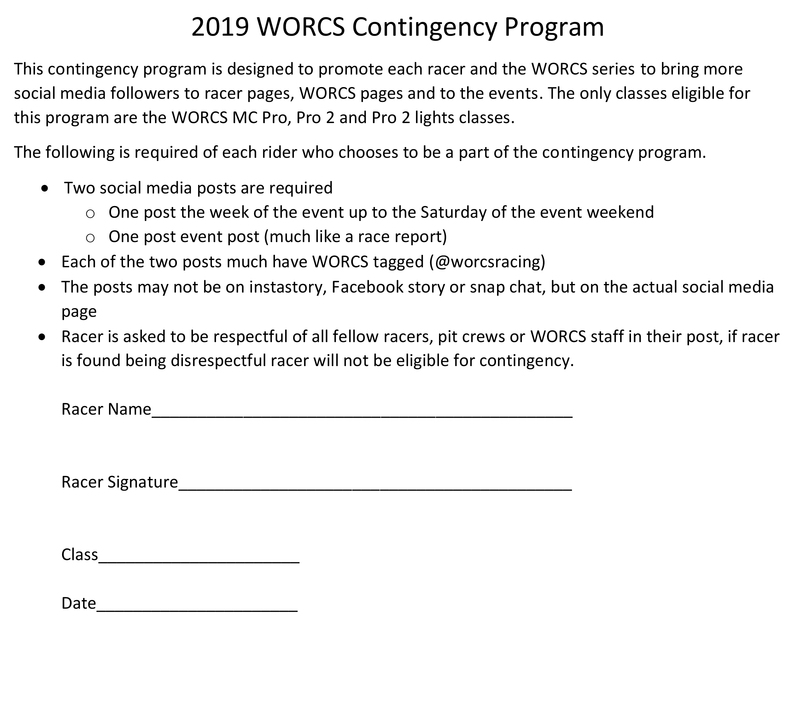 This contingency program is designed to promote each racer and the WORCS series to bring more social media followers to racer pages, WORCS pages and to the events. The only classes eligible for this program are the WORCS MC Pro, Pro 2 and Pro 2 lights classes. Pro checks will not be reissued after 6 (six) months from the issue date.